As the leading laser eye surgery clinic in the UK, we take great pride in the fact that the eye surgeons we use at Advanced Vision Care are genuinely regarded as being world class. We only use the very best surgeons who are recognised for their skills and experience. Indeed, our surgeons have been at the forefront of new laser eye technology and techniques for many years. Among them is the Advanced Vision Care founder, the pioneering surgeon Dr CT Pillai. With many years of experience and expertise, Dr Pillai is a leading laser eye surgeon of world standing and he sets surgical standards that no other laser eye clinic can match. And while Dr Pillai is undoubtedly a world authority on eye surgery, he remains committed to the success of the clinic and his friendly demeanour helps comfort patients. 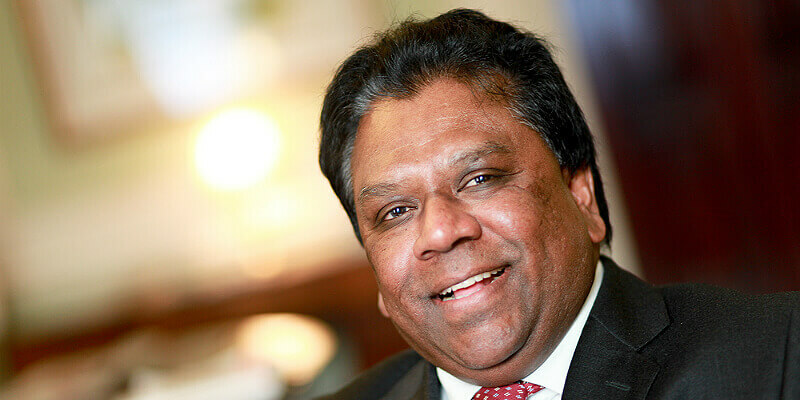 Dr Pillai was among the first Harley Street refractive surgeons to set up a surgeon-led eye clinic and among his many achievements is the fact he was among the first to carry out bilateral LASIK laser eye surgery. You can find out more on Dr Pillai’s incredible career around the world. Alongside Dr Pillai are two colleagues who are also held in high regard in the world of eye surgery: Dr Goran Helgason and Professor Martin Filipec. Dr Helgason is an internationally recognised expert for implantable contact lens surgery and is in demand as a course instructor around the world. Indeed, Dr Helgason underwent implantable contact lens (ICL) surgery in both of his eyes nearly 10 years ago and is the living proof of the incredible benefits such surgery can bring. He also carries out ground-breaking research into the treatment. As an eye surgeon, Dr Helgason has a quarter of a century of experience and was one the world’s first surgeons to undertake STAAR surgical ICL treatment. Find out more about Dr Helgason’s impressive career. Professor Filipec has also worked for more than 25 years as a laser eye surgeon and he is a pioneer in corneal transplants. With his extensive knowledge, he is in demand to train his fellow surgeons in both cataract and laser eye surgery techniques. For more information about Professor Filipec, click here. At the very heart of everything that is done by Advanced Vision Care is a dedication to bringing the very best in eye surgery by world renowned surgeons at realistic prices, which is why you will not be seeing marketing material offering surgery at unbelievably low prices. Advanced Vision Care does not offer High Street prices because our patients are paying for the unrivalled experience and expertise of the best surgeons available for carrying out laser eye surgery. If you would like to find out more about laser eye surgery and our world renowned laser eye surgeons and what they can do for your eyesight, then why not call AVC TODAY on 0800 652 4878 and request your free information pack or book your consultation to find out how we can help you.